The first session of the Design Indaba conference, in South Africa, opened to the pop-symphonic strains of John Williams's score for Star Wars. Speakers Justin Gomes and Charl Thom, partners in the South African advertising agency Fox P2, took the stage of the Cape Town convention center to describe how, in the mid-1970s, the now legendary, then young filmmaker George Lucas bucked the big studios to create his phenomenal space epic on his own proto-indie terms. The Fox P2 partners then detailed the lessons they drew from the early Lucas — essentially, to scrap "best practice" and to think up your own "better practice" — and the projects thus inspired, including a series of inventive and truly scary public service ads for the don't-drink-and-drive campaign Drive Dry. Next up was John Bielenberg, graphic designer turned teacher-activist, who recounted his journey from corporate design director to social-change entrepreneur, founder of Project M — generator of Pie Lab, Pizza Farm, etc. — and cofounder of the incubator COMMON, which aims to "rapidly prototype social change." Bielenberg was followed by the British landscape designer Dan Pearson, who was commissioned by a Japanese newspaper magnate to create, on the island of Hokkaido, a Millennium Forest — a forest that would sustain itself for 1,000 years — as a means of offsetting the carbon footprint of his dead-tree intensive business. The morning ended with a theatrical presentation by the young celebrity chef René Redzepi, founder of the Copenhagen restaurant Noma; Redzepi shared the stage with a dead duck, which hung from a rope, and at one point brandished his chef's knife, as if to remind us that before there is cuisine there is blood. Appetites whetted, the 1,500 of us conference-goers in the sold-out auditorium descended upon lunch. From ad agency creatives to expat-corporate designer-gurus and from landscape artistry to next-wave gastronomy — this dizzying segue would set the scene for the fifteenth annual Design Indaba, which in the course of three days would showcase an impressive array of disciplines. These included graphic and interaction design, with Eddie Opara, of Pentagram, taking us through the concept and creation of his interactive table for the Savannah College of Art and Design; the London-based United Visual Artists showing their interactive LED sculpture Origin, installed in Brooklyn and intended to probe our "acceptance of technocratic life"; and the duo Hellicar and Lewis — whose backgrounds are professional skateboarding and computer science — demonstrating their open-source interactive therapeutic software for autistic kids. Architecture was amply represented as well. Speakers ranged from prominent practitioners like Bjarke Ingels (with an exuberant overview of the work that's made him ubiquitous on the speaking circuit), Alfredo Brillembourg (founder of the Caracas-based Urban Think Tank, whose projects include the famed Metro Cable) and Heinrich Wolff (partner in the Cape Town practice Noero Wolff, who emphasized the role of architecture in the establishment of post-apartheid civic life) to younger designers like Tsai (whose Cape Town studio focuses on projects for disadvantaged communities). The academy was on the agenda too: Carlo Ratti and Assaf Biderman, of the Senseable City Lab at MIT, presented Trash/Track, which electronically tags pieces of trash in order to make us focus not just on the supply chain but also on what the researchers call the "removal chain." Most of the speakers were credentialed and seasoned but not all. The conference hosted a pecha kucha where young designers showed new works, including a disaster relief toilet (from industrial designer Rahim Bhamini), Empower House, the Parsons New School of Design solar decathlon entry (from architecture student Carly Berger) and a wind-powered landmine detonator (from product designer Massoud Hassini). And more: Indaba featured film and video artists (screenwriter Akshat Verma, co-creator of the exuberant Bollywood comedy Delhi Belly; and the team of Chris Milk and Aaron Koblin, collarators on the Johnny Cash Project, the globally crowd-sourced video of Cash's final recording, "Ain't No Grave"); furniture makers (the local partnership Tonic, which designs "bespoke furniture," and Piet Hein Eek, who crafts one-of-a-kind pieces from recycled this-and-that); a public artist (Andrew Shoben of the London collective Greyworld) and an art curator (the super-articulate Hans Ulrich Obrist of London's Serpentine Gallery); and a scent artist/smell researcher (Sissel Tolaas, self-described "professional in-betweener," whose mission is to heighten our awareness of all things olfactory). Actually almost everbody at Design Indaba was a kind of in-betweener, with hyphenated career arcs and cross-disciplinary experience. One strongly recurring theme was that of professional growth and creative redefinition; speaker after speaker described the search for opportunities to move from client-driven commissions to more personal and ambitious work, or the need to leverage billable hours to support pro bono endeavors. The inclination toward experimentation seemed to extend to the audience, too. For most of the conference I sat next to a software developer from Johannesburg, who told me that he had come to Indaba precisely because he felt ready to build upon his professional stability and take risks. "Had Indaba provided inspiration?" I asked on the last day. "Absolutely," he said. 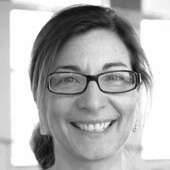 Nancy Levinson is executive director and editor of Places. On Places, Nancy Levinson explores the challenges of moving from a print-centric to digital-dominant world — in particular the difficulty of sustaining ambitious journalism and serious literature. On Places, Nancy Levinson surveys the recent conversation on women in architecture, and argues that it's time to translate the widespread awareness of persistent inequality into an ongoing campaign with concrete goals. On Places, Nancy Levinson argues that the accelerating crisis of climate change suggests a newly intensified political agenda for design activism.